Filipino American hip hop producer !llmind has leaked a track from his new mixtape which is set to drop tomorrow. #BoomTrap will feature 8 instrumental pieces and its second single “Snake Charmer” builds on Ramon Ibanga Jr’s trapped out work on “March”, a heavy mixture of old school breaks and 808s. “Snake Charmer” puts !llmind’s signature sinister sounds to good use as generous helpings of bass and a middle eastern vibe is capped off by trademark intense synth work. The beat is both complex enough to work on its own as a captivating slice of edgy production but also accessible enough for many a rhyme-smith to salivate over with drums full of atmosphere. The producer has worked with a stellar list of artists over 10 years in the game including Kanye West, 50 Cent and Ludacris in addition to releasing his own full length projects such as 2011’s Beh!nd The Curta!n. You can check out a tracklist for #BoomTrap below. More of the same please, !llmind. 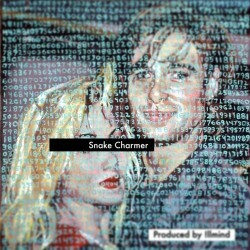 “: #EARMILK : !llmind – "Snake Charmer" – http://t.co/oo2ek7zLzO @illmindPRODUCER” ●WHEW! This track is SICK! Great job! IshDARR returns with the bounce on "Locals"
The Dance captures all that unfolds in a night of celebration with "Cheers"
Mobb Deep call out the King of New York in "Say Something"
!llmind reunites Brooklyn's finest with "Picasso Biggie"